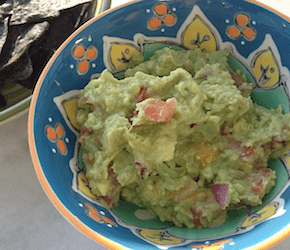 Mash avocados into a medium size bowl with a fork or potato masher. Add remaining ingredients and mix well. Enjoy with some organic corn chips.